Rise of the Tomb Raider is an action-adventure video game developed by Crystal Dynamics and published by Square Enix. You play Lara Croft as she ventures into different breath taking landscapes while battling enemies, completing puzzles, and crafting new weapons to progress through the game. With Tobii Eye Tracking, Rise of the Tomb Raider takes immersion to a whole new level with a highly accurate aim at gaze feature, extended view, and head tracking implementation among other eye tracking features. With Extended View the center of the screen follows your eyes as your gaze reaches the edge of the screen, broadening your field of view, and allowing you to take in more of the breath taking scenery known to Tomb Raider. Aim at Gaze in Tomb Raider has one of the most accurate aim at gaze features implemented so far. Weapons such as bows, pistols, shotguns, and rifles all use this feature. With Head Tracking the scene camera follows your head movements allowing another layer upon the extended view. Works both side to side and up and down. 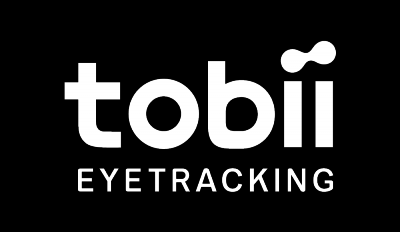 Features can be accessed in game and on the menu screen via Options - Tobii Eye Tracking. How? Look towards the edge of the screen and watch how the camera moves towards the direction of your gaze. This can be adjusted for responsiveness and gaze angle. The HUD elements become unfocused when you are not looking at them and they get in focus again once you look at them. How? Look at the HUD elements to put them in focus. How? With your weapon out, look at your target, hold [LT] and press [RT] to fire. Once unlocked, you can also use an ability called Triple Shot. Aim towards 2-3 enemies and zoom in, then when you look at each they get targeted and when you shoot you do 3 head shots. Works only with bow. How? Hold [LT] to aim, press right stick down to zoom in, and hold [RT] while using your gaze to target the enemies. Release to shoot. How? Basically use your head to quickly look around you. This feature can be customized in the eye tracking options for responsiveness. Throw items at where your gaze is. How? Pick up an item, hold [LT] to aim, aim with your gaze, press [RT] to throw. Or use quick throw, were you just press [RT] to throw at your gaze without the aim path. Your gaze will highlight items and objects that can interacted with. Please note that you will have to unlock this skill. How? Highlight items by looking at them. To access eye tracking menu from the main menu go to Options - Eye Tracking. To access in game press [START] to pause then choose Options - Eye Tracking. You also turn off head tracking by turning this off. Increase or decrease the speed and responsiveness of head tracking.